This Mercedes-Benz includes: AMG NIGHT PACKAGE DELETION OF RED SEATBELTS TO BLACK MULTIMEDIA PACKAGE Smart Device Integration Navigation System CD Player Hard Disk Drive Media Storage MP3 Player WHEELS: 18" AMG MULTI-SPOKE W/BLACK ACCENTS (STD) Aluminum Wheels BLACK ASH WOOD TRIM Woodgrain Interior Trim *Note - For third party subscriptions or services, please contact the dealer for more information. 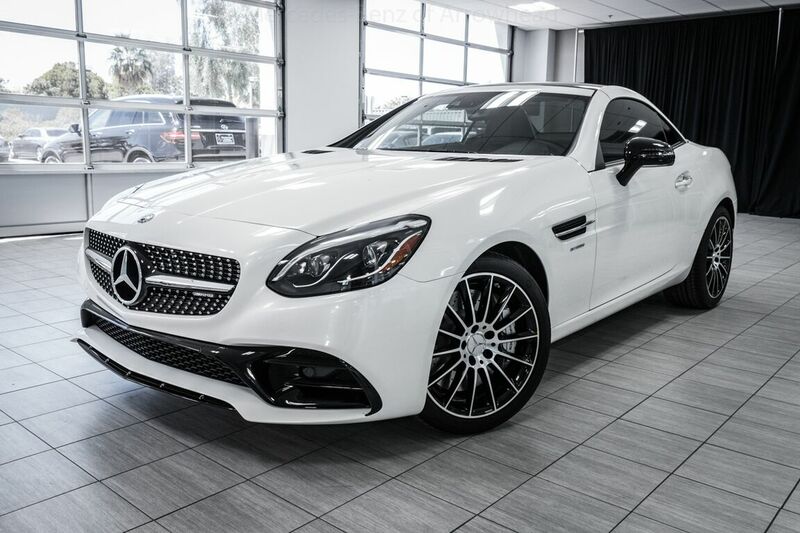 * If you're a driving enthusiast, you'll be grateful for the chance to drive this Mercedes-Benz SLC AMG SLC 43 convertible. You'll discover what millions of convertible owners have known for years -- nothing beats an open air experience. You appreciate the finer things in life, the vehicle you drive should not be the exception. Style, performance, sophistication is in a class of its own with this stunning Mercedes-Benz SLC. Enjoy the drive without worrying about directions thanks to the built-in navigation system. Visit your Mercedes dealer today serving Phoenix, North Scottsdale, Tempe, Gilbert, Mesa, Chandler, Scottsdale AZ.